Join volunteers from AFP Greater Atlanta and the Kiwanis Club of Atlanta in planting seeds of philanthropy in elementary classrooms throughout our city. Volunteers are needed to inspire future generations to make a positive impact in our community through actions and words. Spend one hour reading from the book, Beatrice's Goat. Enjoy watching kids' faces light up through your storytelling and help them demonstrate ideas through artwork. Share your personal experiences and role in making the world a better place. 1. Decide, "Yes, I want to help." 2. Sign Up: If you're interested in volunteering, you can register below. 3. Attend, Read, Share and Make an Impact. Register here to volunteer for one or more of these dates. 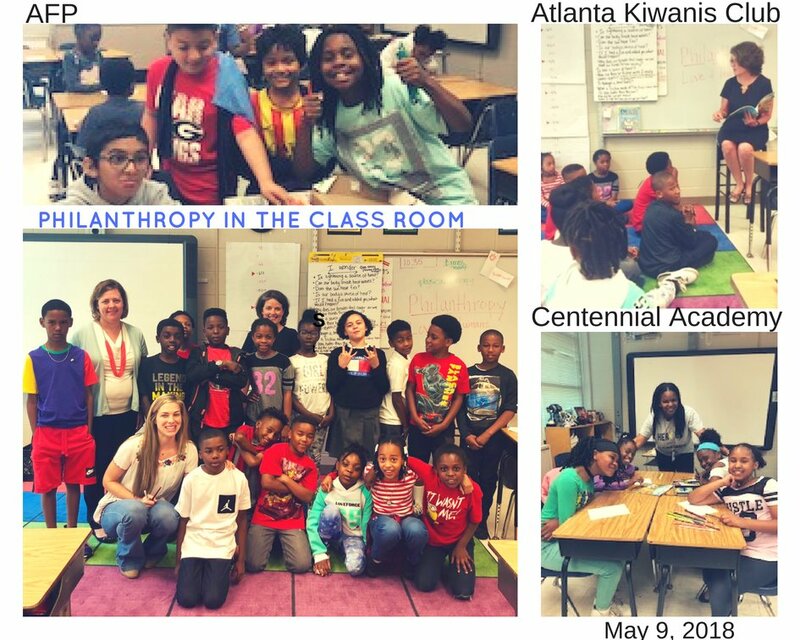 In 2009, AFP Atlanta launched the Philanthropy in the Classroom program to introduce to elementary children the concept of philanthropy. The program's growth includes a strong partnership with the Kiwanis Club, National Philanthropy Day Presenting Sponsors. The children's artwork created through this program is displayed at National Philanthropy Day. AFP volunteers have worked with an estimated 500 children in multiple elementary schools throughout Atlanta through this initiative.